The first peer-reviewed study to provide initial evidence of a link between autism and homelessness has been published. Autistic adults are over-represented among the homeless population, new evidence suggests. The first peer-reviewed study into autism and homelessness has been published in the journal Autism. 106 rough sleepers were screened by University College London and Kensington & Chelsea Learning Disability Service, working with a homeless outreach team, to see if they could be autistic. More than one in ten (12.3 percent) of homeless people had a range of autistic ‘traits’ in line with diagnostic criteria. This is substantially higher than the general population autism prevalence of 1%. It is not clear that this 12% were actually autistic, but the screening suggested that they could be. "If autistic difficulties are common among homeless populations, then this has important implications," the researchers said. "There are almost 5000 rough sleepers [and] there may therefore be a considerable number of homeless autistic adults who are not having their needs met and who are in an extremely vulnerable position." Sarah Lambert, Head of Policy at the National Autistic Society, said: "This is an important and robust study, which suggests that there could be a significant number of autistic adults who are homeless - and potentially living without an understanding of their needs or appropriate support. "It's well established that many autistic people struggle to get the support they need and face huge difficulties throughout their lives, including high rates of mental health problems, underemployment and social isolation. 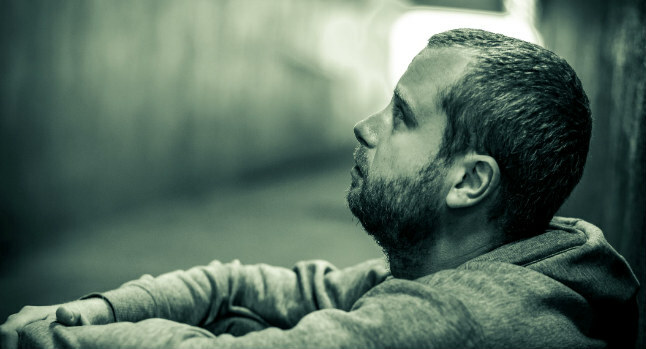 We've heard anecdotal reports of autistic adults falling through gaps in support and into homelessness but there's very little research into this or awareness of this as an issue." "This is the first peer-reviewed study to provide initial evidence of a link between autism and homelessness and provides an important platform to get to grips with this issue. We now need further research to investigate this link, and to develop the right support for homeless autistic people and to prevent those at risk from falling into homelessness in the first place."